Saturday 2nd June saw Prevent Breast Cancer host the most epic TV comeback of all time – LIVE! After years of talking about it, and months of planning, WE DID IT! 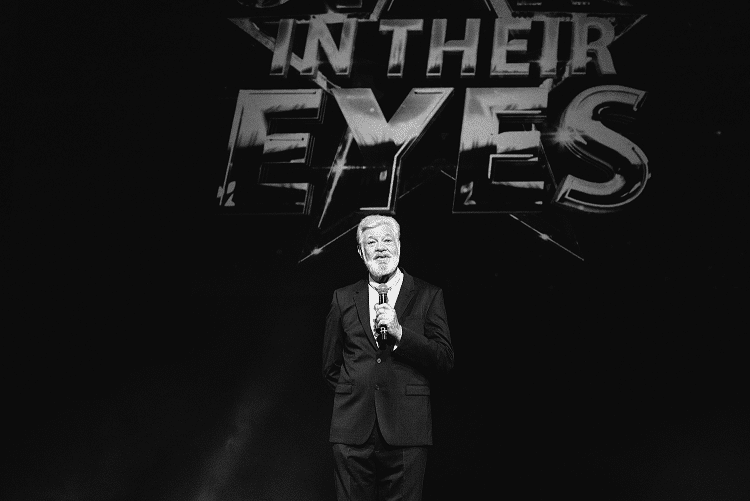 With Matthew Kelly as host, Stars in their Eyes- The LIVE Revival was brought to life on stage with over 630 audience members, generating over £32,000 for the charity! Held at the RNCM in Manchester, the original home city of the show, the entire evening took us on an emotionally charged reunion between Matthew Kelly and many of the original production team, all of whom donated their time, skill set and services for free- and we can’t thank them enough! The first half was reminiscent by way of welcoming back some previous winners, who all have gone on to do well after appearing on the original show. We got to hear them perform live, have a catch up with Matthew and share how the ‘Stars’ platform helped them carve out musical careers. The second half evoked our charity and what we represent- The Next Generation. The stage was welcomed by acts including Robbie Williams, Sia and a Manchester favourite, Ariana Grande – who was our youngest contestant at just 15. The show ended with a standing ovation after a medley version of ‘This is Me’ from the ‘The Greastest Showman’. Prevent Breast Cancer would like to thank all the production team on the day and in the run up to the event. A massive thank you to the artists – your talent helped make the night so fantastic! Matthew Kelly – it would never have been ‘Stars’ without you. We will be forever grateful! And finally to our very dear friend Linda Kelly, thank you! We made it because you said we could!